Here we have 6 Vintage Sailor girl and Sailor Boy Clip Art Images. Sailor outfits were all the rage with the Victorians, they loved to dress their children, both boys and girls in these classic military style suits! Young ladies were also attracted to this stylish attire. These are all Black and White Images, some are clip art illustrations but I’ve also included a couple of Antique Photos as well towards the bottom of the post. 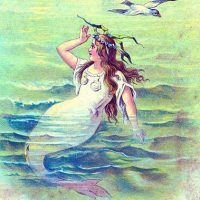 This is a beautiful Vintage Sailor Lady Image! She looks quite young, she may be a teenager. This one comes from a book in my collection, it’s a rare Circa 1907 Pyrography Catalog! The catalog is full of patterns, tools and accessories for the art of Pyrography, which is when you burn a design into wood. This intricate design would have been used for that purpose, and added to boxes or small furniture pieces. 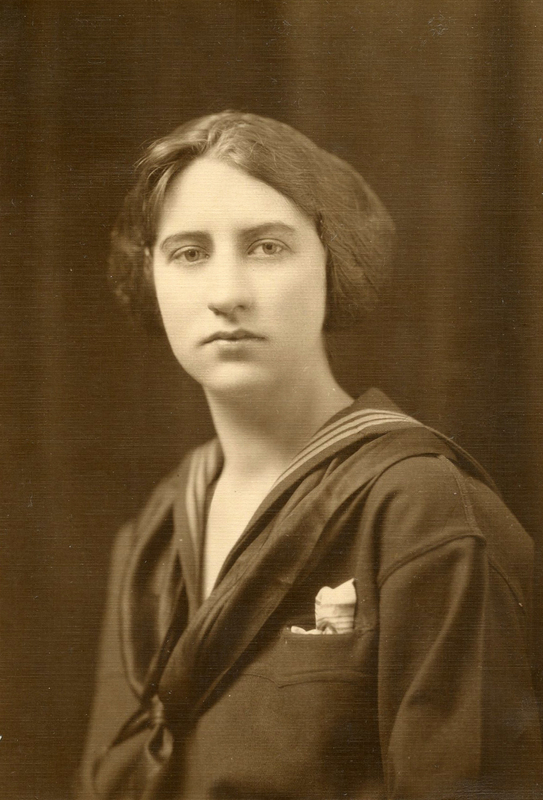 This lovely young Woman looks so smart in her old fashioned Sailor outfit. 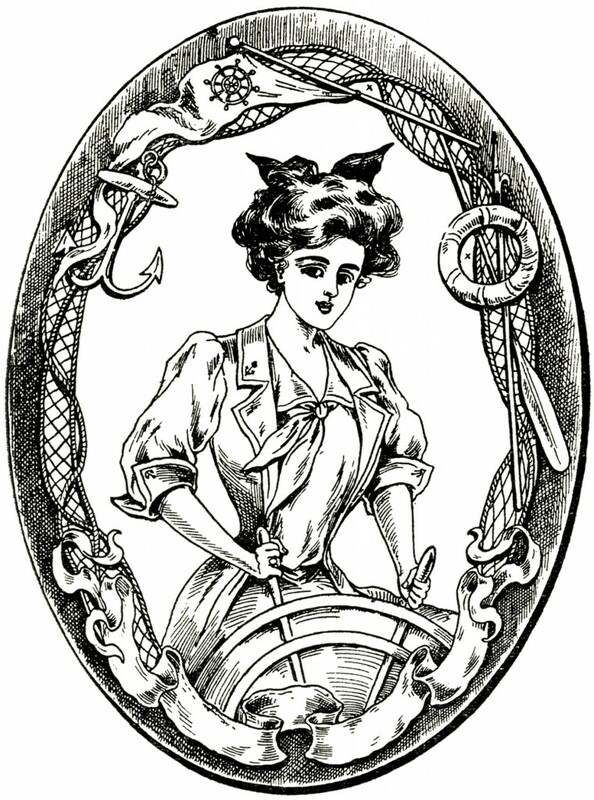 The outfit is quite fitting, as she appears to be steering a boat, and she’s also wearing a fashionable Gibson Girl Hairstyle! Charming! This is darling Royalty Free Image from a reader named Cheryl, who found this in a 1913 Sewing book in her collection. I just love this! This one shows an Edwardian Girl dressed in a Fashionable Sailor style outfit, consisting of a straight blouse with collar and tie, and a stripped skirt.Darling! 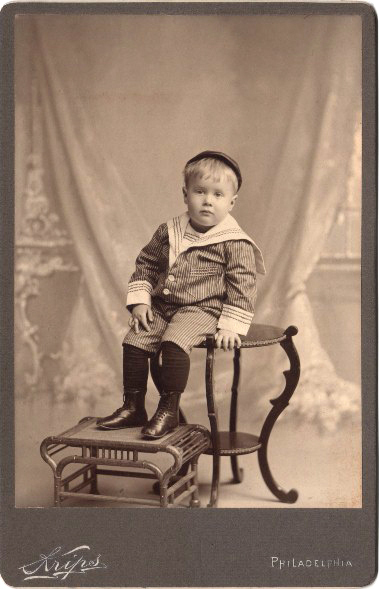 I found this picture, of a little boy in a sailor suit, in a Victorian children’s book. He’s quite the charmer with his short pants and his “Gilligan” style hat! If you would like to see a project created with this one, be sure and check out this adorable Painted Nautical Style Boy’s room Dresser HERE! Next up is this super sweet Vintage Garden Boy Image! This image was scanned from a Circa 1920 Children’s Rhyme Book. This beautiful illustration shows a sweet little Boy dressed in a Sailor Suit. He’s holding an old fashioned Watering Can and appears to be getting ready to do some Gardening! Such a lovely scene! I think it would be fun to color this one in and use as a Bookmark. You could even laminate if you like. This little guy is such a cutie pie in his sailor suit! This is an Antique Photo of an adorable little Boy in a striped Sailor Suit. He has such a sweet expression on his face! I originally posted this one quite a few years ago, and I’m afraid I cannot find the original, so this is not the greatest quality scan. But perhaps you can still find a use for him, if you print him out small. This is another one that was originally posted some years ago, but I did manage to find this lovely photo of Young Girl in a dark colored Sailor Suit in my files. So I have re-scanned her and you can download this higher resolution version now. This Sailor Gal appears to be deep in thought. I hope you enjoyed this fun collection of Clip Art Sailor Boys and Girls, perfect for you Nautical themed projects! « What is Gel Medium – A Comprehensive Guide! Love this image! I found some old Navy peacoat buttons in a button jar I bought. On to crafting with this one!